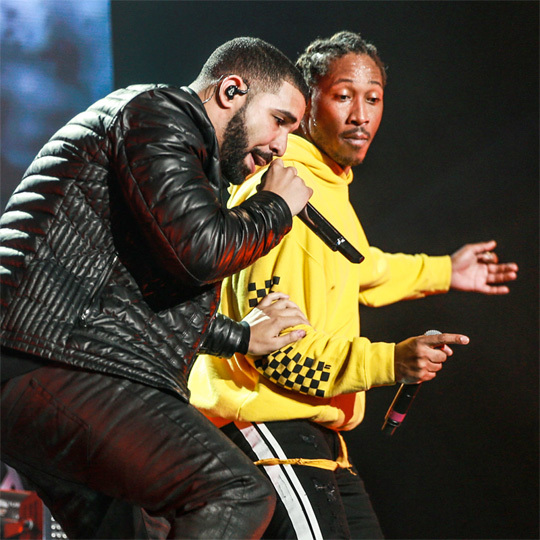 On June 16th, Future brought out Drake during his “Nobody Safe Tour” stop at The Forum in Inglewood, California. While on stage, Drizzy performed “Jumpman” with the Astronaut Kid, “Gyalchester“, “Portland” with Quavo, and “Fake Love” live. You can check out some footage from their live performance after the jump below. Enjoy!